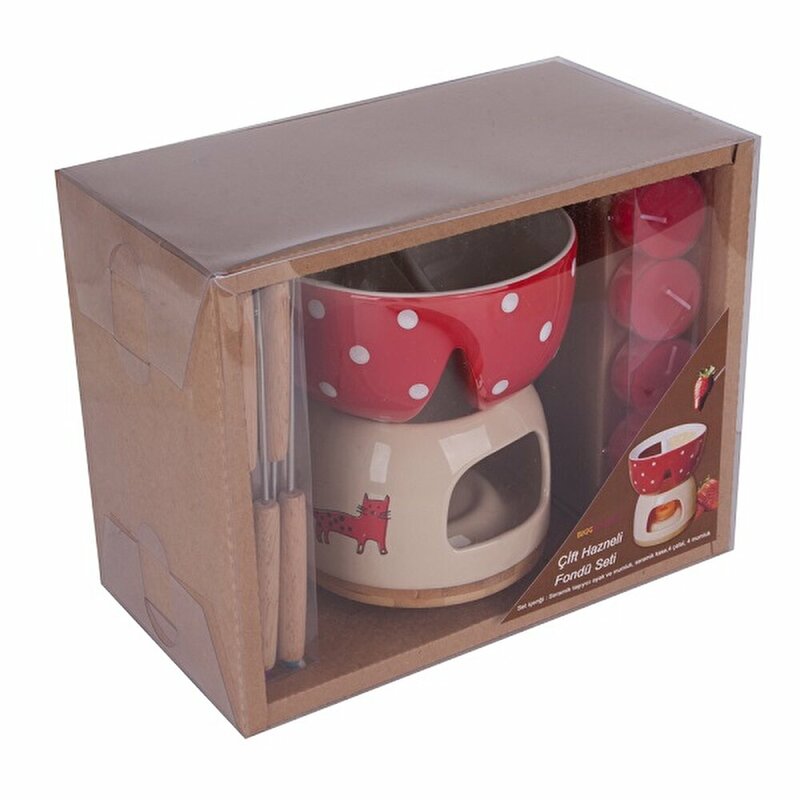 Make any day a special occasion with your personal fondue. 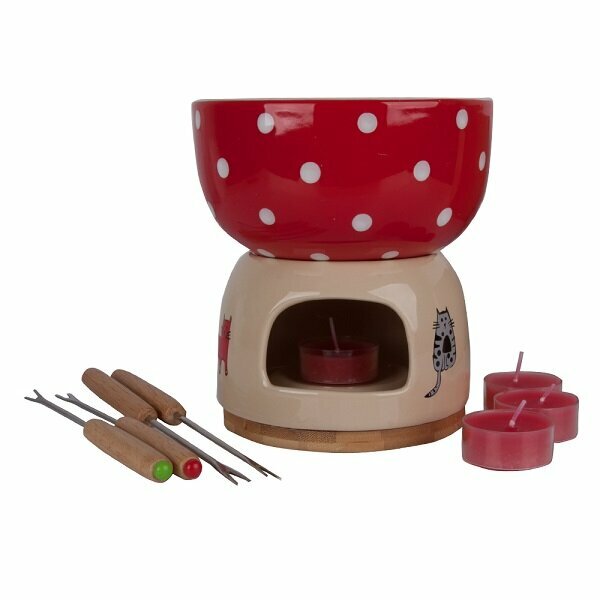 Perfect for a romantic evening, anniversaries, birthdays, or any day you want to enjoy cheese or dessert fondue. Easily melt chocolate and cheeses for dipping fruit, veggies, marshmallows and more. Set comes with four forks and four tea light votive candles. When the included candles are used, simply replace with any standard tea light. 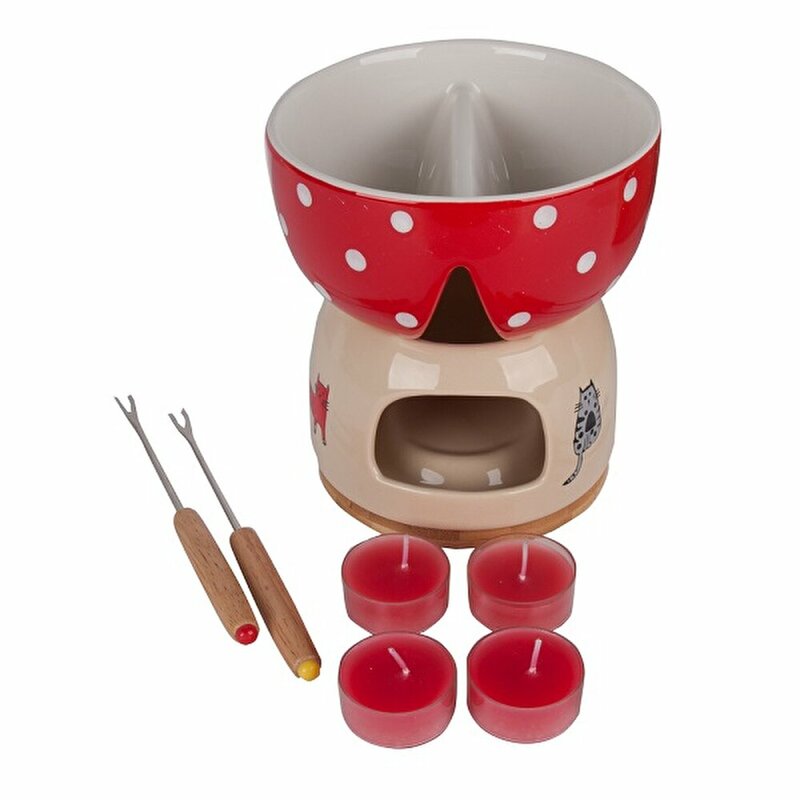 Small fondue is easy to use. The tea light flame ensures even heat distribution for smooth melting - no need for a stove, lighter fluid, fire gel, or electric cords. Relax with your own Biggdesign 'My Eyes on You' Fondue Set. 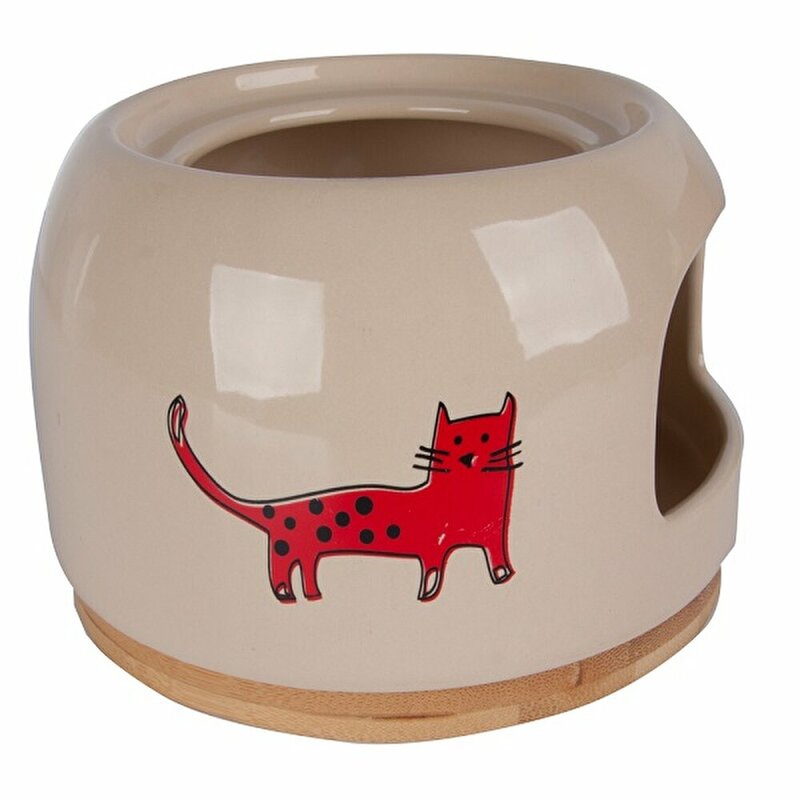 Ceramic carrier and candle holder.